When my parents made the decision to leave Norfolk and return to Cumbria I was just 19 years old. By which point I had met and started dating Mr. Boo and were in the process of purchasing our first home. When it came time for them to make the move, their choice of house was not one I would have selected. Moving from a residential estate within walking distance to the town they relocated to a farm cottage. Which was up a hill, in the middle of nowhere with an 8-mile drive just to reach the nearest corner shop. Whilst they had beautiful scenery to enjoy throughout the most part of the year, it was when the weather was bad and they were cut off from the outside world that I really began to question their decision. At the time of their move and the subsequent years I really struggled with the remoteness of their new live when I went to visit. I didn’t drive at the time and relying on my mum for lifts whenever I wanted to go out made me feel like a teenager again. Now, however, I can see the beauty in remote living. I have watched programmes like Railroad Alaska and read blog posts from Lucy at Lulastic and the Hippyshake and thought about giving up the hustle and bustle of living remotely and going ‘off-grid’. 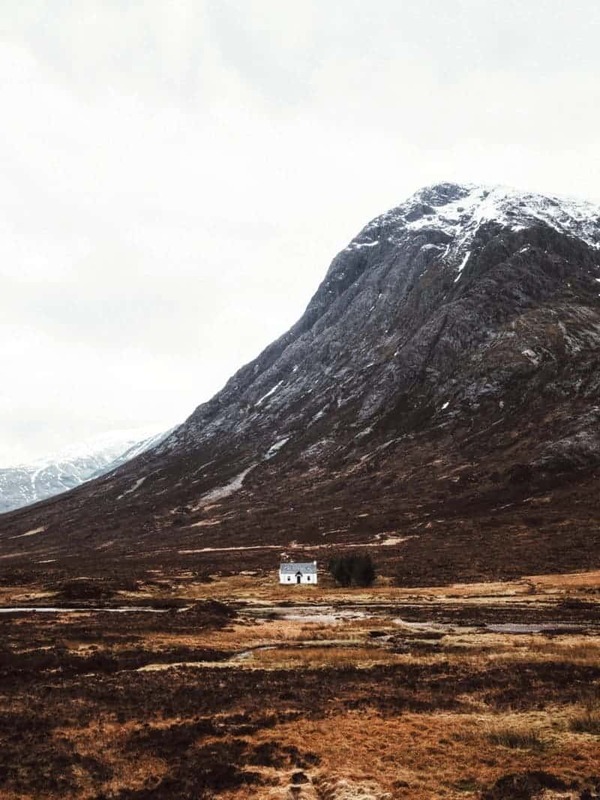 Flogas business gas recently spoke to 910 Brits and found that 85% of people have, at some point, considered moving away from it all and living ‘off-grid’. So it seems I’m not alone in the pursuit of a peaceful life, even if it has taken me a few years to appreciate the beauty of it all. The thing with living ‘off-grid’ is that for the majority of us we are very reliant on modern technology. Whilst I would miss popping onto social media and having the world at the touch of a button on my smartphone – I do think that within a week or two I wouldn’t be too bothered. As long as I could still access radio and TV services I think I’d be quite happy. Even if the signal wasn’t great and it forced me to read more books, it could actually be a good thing. For me, I think I would miss the most is the everyday things that I take for granted. Running water, electricity and a gas supply – Things like being able to flush the toilet, pop the washing into the washing machine or load up the dishwasher and switching on the central heating without worrying that there is enough oil in the tank etc. Now that I think of it I think I am far too reliant on the modern world to switch off from it all. I don’t think I could cope with electricity failures, washing things by hand, setting up gas canisters, chopping up logs for the fire etc. I think I might be best to stick to the occasional holiday in a remote country cottage before I try to convince Mr. Boo to up sticks and live ‘off-grid’. Funny isn’t it, I like the sound of living off the beaten track and enjoying the peace but in reality I think there’s lots of things I’d miss.